Today’s ThinkKit prompt is to write about something you have discovered this year. 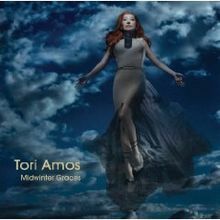 Well, to keep it short and sweet, I recently discovered Tori Amos’ Christmas album Midwinter Graces and have been listening to it daily, sometimes non-stop on repeat, ever since. I really like the vibe of it. You should totally check it out. This entry was posted in ThinkKit and tagged blogging prompt, music, thinkkit, tori amos by Emma Lindhagen. Bookmark the permalink. ← Previous Previous post: Reading Challenge – 15 Unreads in 18 days. Next → Next post: Twice Fortnightly – I’m Published!